When it comes to AdWords advertising, business owners want to know whether or not their campaigns are effective. There’s more to this than meets the eye, though. In fact, there are eight golden rules for discovering whether your AdWords campaign is effective. The two most common answers to the question of campaign efficiency almost always relate to conversion data: ‘Yes, it’s performing well because it’s providing a healthy return on ad spend’, or: ‘No, there have been few sales and the cost per sale is too high’. We’re not, however, asking ‘Is my AdWords campaign converting well?’ That’s a completely different question, and not necessarily related to effectiveness. If you want to know whether a campaign is effective or not, you must look at more than the conversion data. The highly-trackable nature of digital advertising leads many to treat conversion volume or conversion value as the total result of a campaign, when in fact conversion data should be viewed only as a performance indicator. Business owners often confuse the objective of an advertising campaign with the objective of their business. For example, an eCommerce business owner may consider sales and return on ad spend the objective of their AdWords campaign. The definition of advertising is, in fact, to “describe or draw attention to (a product, service, or event) in a public medium in order to promote sales or attendance.” The key word here is “promote”. For eCommerce advertisers, the goal is not to produce sales, but to promote products to potential customers. There are a vast range of factors which affect a customer’s decision to purchase: price (are there cheaper alternatives? ), quality (are there better alternatives? ), credibility and reputation (are there more trustworthy competitor brands with better reviews?). Advertising cannot change these influencing factors, many of which will change over time. Advertising’s job is to promote the products. But what if the conversion data looks great? If an eCommerce AdWords campaign is providing a superb return on investment and a vast amount of revenue, does that mean it’s promoting the product effectively? It could be that your pricing is superb compared to your competitors, that your brand has a loyal customer base, and that everyone wants to buy your fantastic product. The ad campaign might still be extremely inefficient – you could be spending half of your budget on clicks from a country you don’t deliver to, but the stats would look good at the top level if you only looked at conversion data. Ensuring an eCommerce AdWords Campaign is promoting the product effectively is of top priority, whether it’s converting well or not. For eCommerce, the most important tool at your disposal is the Product Listing Ad, or PLA. These ads appear when someone searches for your products on Google Search and Google Shopping. The ads include a picture of your product, its price and your shop name. Customers who click on your ad will be directed to your website where they can buy your item. The major benefit here is that you only pay for clicks from potential customers who have already seen a picture of your product and the price, and are therefore much more likely to purchase the product than a customer who clicked a generic text ad. 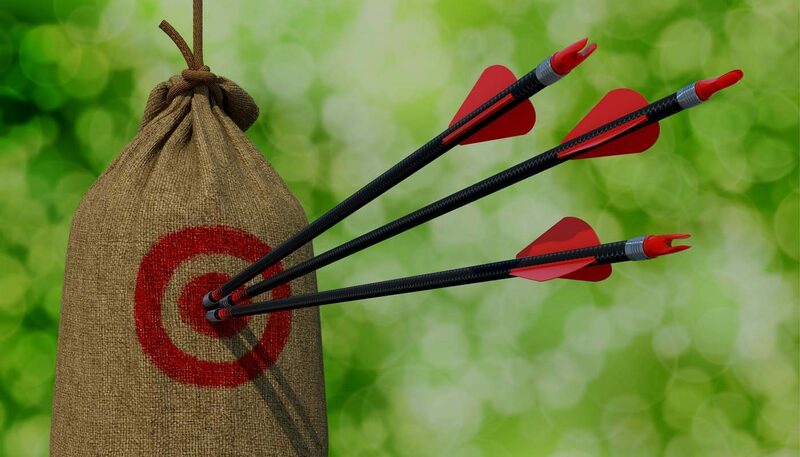 Remarketing ads can help you recapture potential customers. Set up remarketing lists in Google Analytics to target users who have added products to basket but not completed their order. Even better, use AdWords’ Dynamic Remarketing feature, which takes things a step further by displaying recent site visitors an ad containing the specific products they’d browsed. Focus on targeting keywords which show commercial intent, such as keywords which include words like ‘buy’, ‘order’, or ‘price’. Proactively add negative keywords which show the user has no commercial intent. Negative keywords like ‘complaints’, ‘support’, ‘pictures’, and ‘manuals’ will help ensure that your ads reach only users who are looking to buy. Target your competitors. While keywords containing product names can be highly competitive, the brand names of your competitors are often much less so. A user searching for a competitor brand name is likely to be looking to purchase. On AdWords Search you are free to bid on competitor brand names even if they’re trademarked, so long as you do not include them in your ad copy. Returning customers are much more likely to complete a purchase. Use remarketing lists for search ads (RLSA) to raise bids on search for people who have recently visited your website. On the Google Display Network, managing placements is extremely important. Make sure you are not displaying ads on low quality app placements – nobody is going to buy your product if they’ve found it by accidentally clicking your ad as it appeared on their mobile’s flashlight app. Make sure you regularly review your display network placements and exclude any negatives; and that includes remarketing campaigns. There’s no point serving ads to people who are unable to order from you. If you only deliver to the UK mainland, be sure to exclude all locations that are not included in this, like the Isle of Man, Channel Islands, Isle of Wight, and Isles of Scilly. This also includes Northern Ireland, and remote areas of Scotland. Regularly review ad performance by location, and make sure that you’re adding location-based bid adjustments for cities that provide the best results. If your eCommerce store offers a click and collect option, segment the store’s local audience into their own campaign, and include the option to click & collect in the ad copy. Peak hours differ significantly across industries but, whatever you’re selling, there will be certain hours of the week when visitors are most likely to purchase, and others when it’s less likely. Be sure to regularly review your ad performance by hour of day and by day of week, making bid adjustments to maximise visibility during peak hours. It is often worth pausing ads completely during times when users very rarely purchase, such as late at night and early in the morning. For eCommerce, it’s almost always best to send AdWords traffic to the main store rather than to a standalone landing page. Consider setting your final URLs at keyword level in order to direct visitors to the most relevant page for their search term. For example, a potential customer who searches for ‘red roses’ should be taken to a page showing a selection of red rose products for sale, rather than a page showing roses of all colours. Reducing the steps to purchase can have a significant effect on conversion rate, so it’s important to make the user journey as quick and simple as possible. eCommerce advertisers are often tempted to reduce spend on mobile devices, due to their inevitably lower conversion rate. This is a bad move, because customers tend to research a product on their mobile devices before returning via a desktop device to purchase. Showrooming, the practice of visiting a bricks-and-mortar shop in order to examine a product before buying it online at a lower price, is becoming more and more widespread. Take advantage of this by targeting product model numbers as keywords, and raise bids for mobile devices during business hours. When analysing mobile performance, look at metrics such as pages per session, time spent on site, and micro conversion points such as ‘add to wishlist’ or ‘email to a friend’ actions. These are often a better measure of mobile performance, where users are more likely to be researching than purchasing. While sales and revenue data will always under-report the true value of your campaigns, tracking return on ad spend (ROAS) remains a crucial aspect of any eCommerce campaign. Use ROAS as a guide to help you determine which areas of your AdWords account are providing the best return, and then drive budget into those areas. If your campaigns are ‘restricted by budget’ and you cannot afford to spend more than that budget, reduce your bids in order to achieve more clicks for the same spend. Be sensible when setting bids; it’s usually better to serve ads lower down the page and return a healthy profit, than it is to aggressively serve ads in position one and operate at a loss. Whether you’re a sole trader or a multinational enterprise, the scale of your campaign must be set correctly in order to promote your product(s) effectively. Many eCommerce advertisers have extremely deep pockets, and can afford to operate campaigns at a loss simply to drown out the competition. Often, the reason why an advertising campaign does not produce results is simply a lack of scale – or to put it another way, a lack of budget. Regularly check AdWords’ competitive metrics such as impression share and auction insight reports to measure your campaign’s scale. If your campaigns are operating at a loss and are achieving only a small impression share, then it’s likely your targeting is too broad. Equally, if your campaigns are operating at a profit and you are achieving close to 100 per cent impression share, then it’s likely your targeting is too specific and there’s room to expand. The golden rule is that if it’s working, spend more! The golden rule is that if it’s working, spend more! Business owners often set their advertising budgets yearly or monthly, rather than being guided by the performance of their ad campaigns. If you’re reporting a massive return on ad spend figure, and operating at a healthy profit when your margin is considered, then you should spend more. Producing a ridiculously high ROAS makes no sense if you could be producing far more profit operating at a lower ROAS. If your campaigns are not providing a healthy return on ad spend, and you want an expert to check that you’re promoting your products effectively, then sign up for a free AdWords session with Vertical Leap.